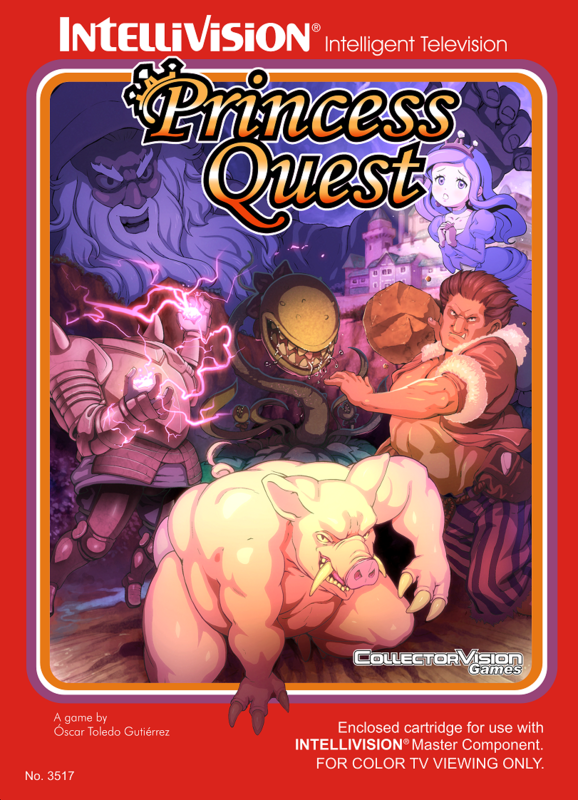 Princess Quest had 200 copies produced initially: 150 'Coleco/Mattel' style boxes and 50 'CBS' style boxes. Edited by Rev, Tue Apr 18, 2017 9:28 PM. Edited by mr_intv, Sun Feb 8, 2015 11:16 PM. Payment sent for two copies! Am I crazy, or to the red demon things now hover (bounce) for a few seconds before moving again? This is a massive improvement from the constant swarming I remember from playing it at CGE. Can't wait! Copies ordered. My payment coming next week. Ordered 2 Coleco and 1 CBS. Payment sent. Edited by BBWW, Sun Feb 8, 2015 11:36 PM. I see it says "Life's" remaining instead of "Lives".....not that it really matters, just an observation. 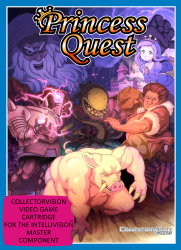 Payment sent for one mattel style copy of princess quest. Thanks. Payment sent for 2 and 2 Keep them coming, Rev. Just helping out with the thread is all. Edited by revolutionika, Mon Feb 9, 2015 12:05 AM. No, I say... slow down. You're keeping me, not only broke, but in debt. Just ordered one of each game (PQ and FB) on a combined transaction. Payment sent for one of each box style! I ordered one copy of each game (Flappy and Princess CBS Style). Payment sent. Thank you. Princess looks fantastic! Payment sent for one of each PQ box style + one FB. payment sent for one of each type. looks like a good addition to my collection. I am double dipping and getting the Intellivision port of Princess Quest.